Plateau de séchage empilable avec toile alimentaire. Stackable drying frame. Place your pasta, your mushrooms or your herbs on the canvas in a dry, ventilated place to dry them. 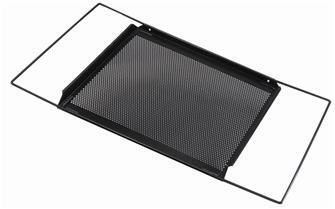 Micro perforated non-stick oven grill. Distributes heat evenly during cooking. The tray measures from 39x35 cm to 39x61 cm.